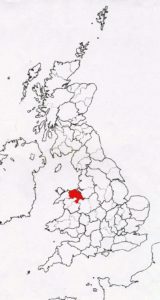 This page covers the historic counties of Denbigh and Flint, which wrap around each other, with Denbigh once cutting Flint into two… Although culturally separate, from their English neighbours, for a good deal of their history; these counties share much of the Northern thatching tradition with them. 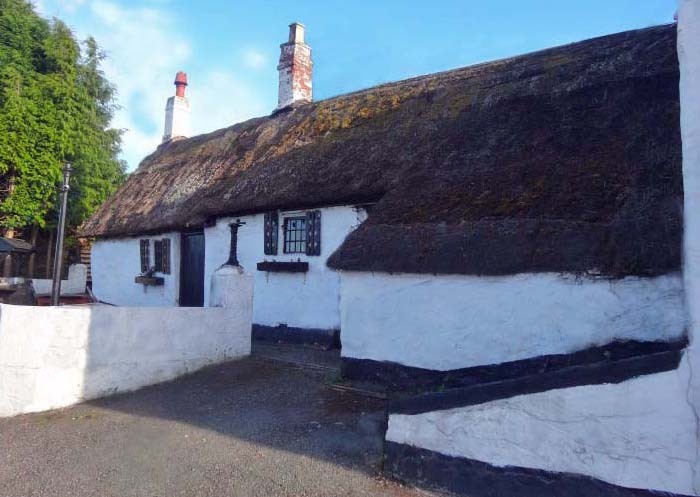 But also have some thatching methods, used throughout the rest of Wales…. The locals took little part, in constructing the invader’s new world but may have had to follow the imported style. 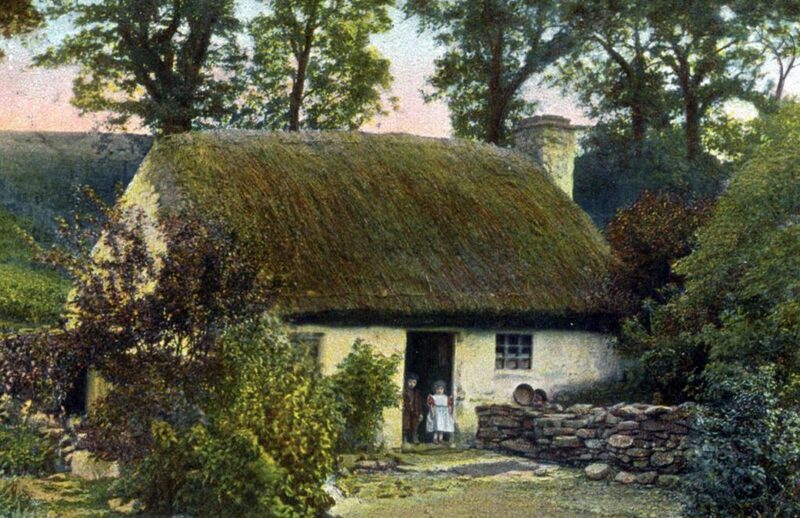 A similar spread of the Northern thatching style, occurred in Scotland, two hundred years ago, when the rich and powerful decided on a change.. 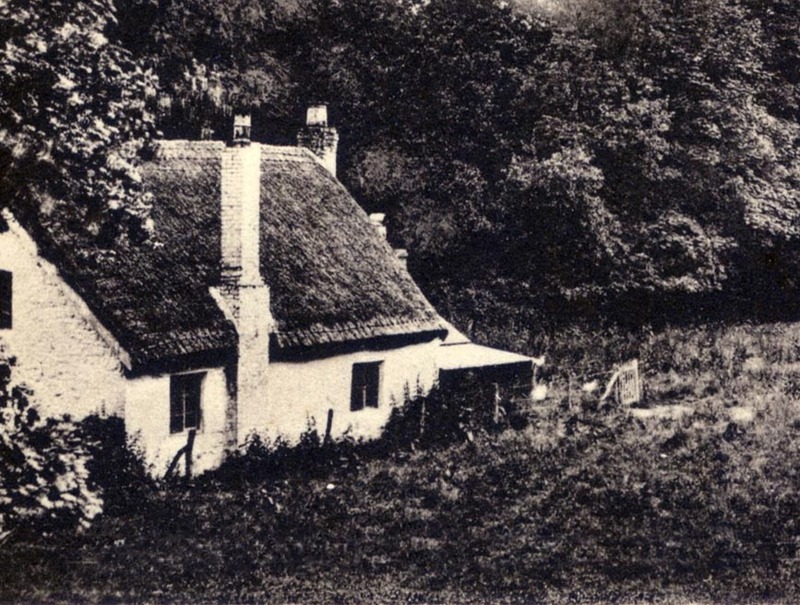 This area’s thatchers also widely created, attractive rope top ridges, to both ricks and houses. As did those in the rest of Wales. 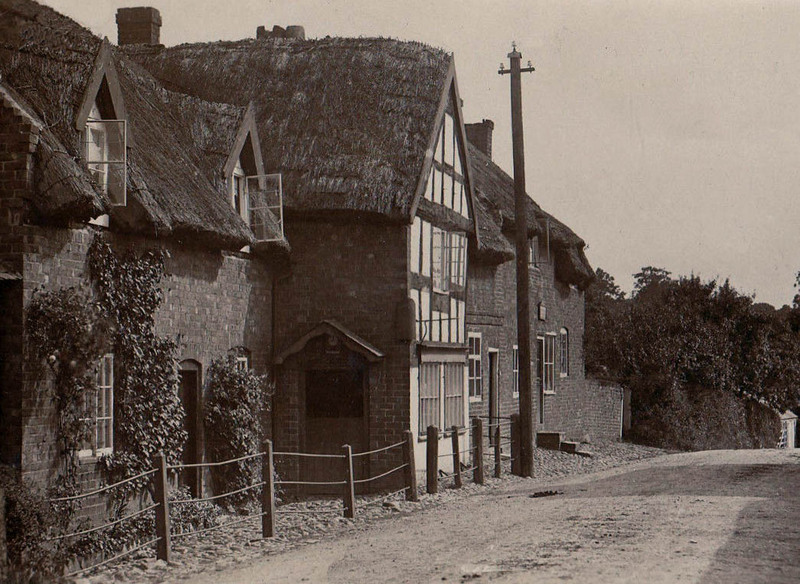 Thatched pubs seem to abound, in these counties… The upper image shows The ‘Red Lion‘, at Hope in Flintshire. 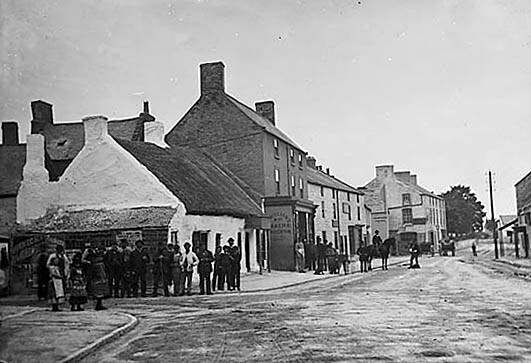 A scene taken, on the August Bank Holiday, of 1904. 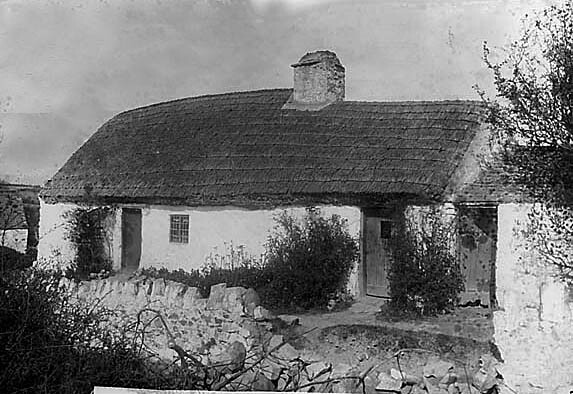 And showing a long straw roof with rolled gables and a rope top ridge. 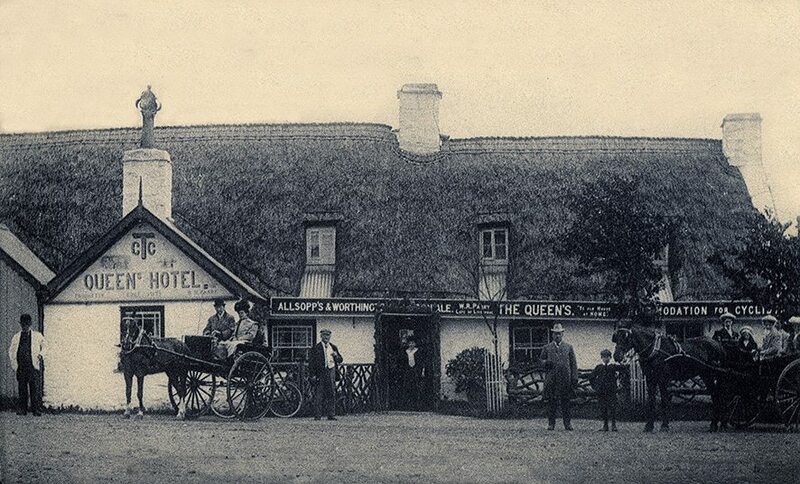 The lower left hand photo* is the George and Dragon at Abergele in Denbighshire; taken in the 1870’s. 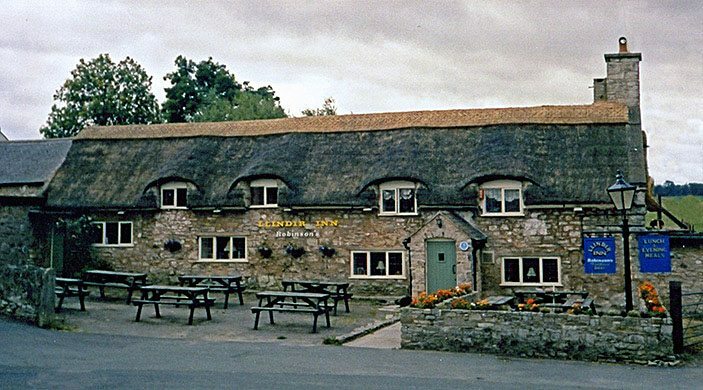 Showing a similar roof, to the Red Lion,but without the rope top ridge… . 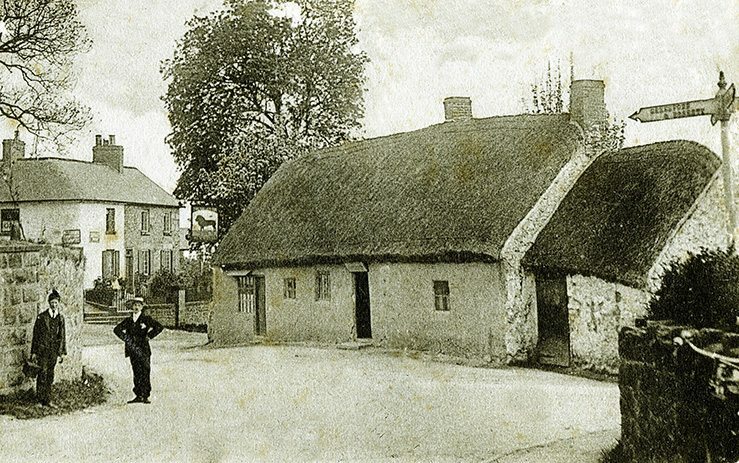 A Flitshire pub…The Old Tavern Inn, near Mostyn. 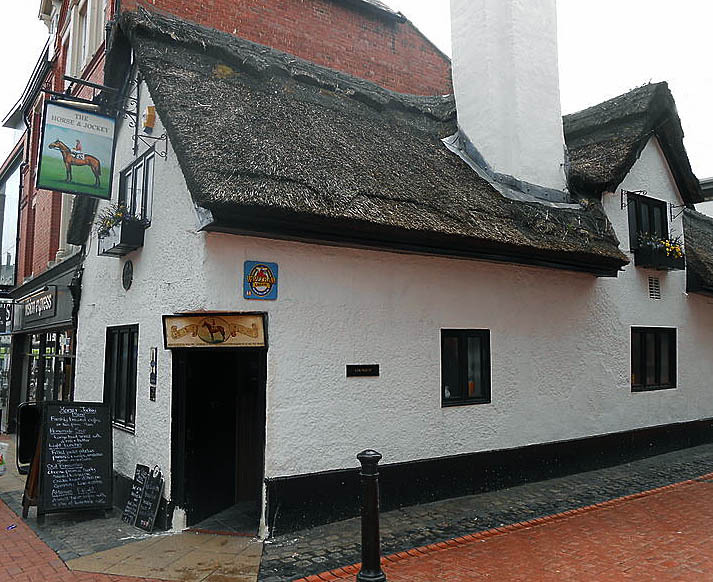 Both the Red Lion and George and Dragon have been replaced, by others of the same name; the Old Tavern is still in place. 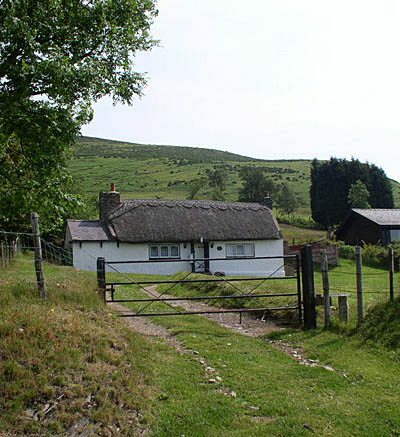 New Ridge…’The Llindir Inn‘, in Denbighshire; claims to be oldest pub in North Wales. 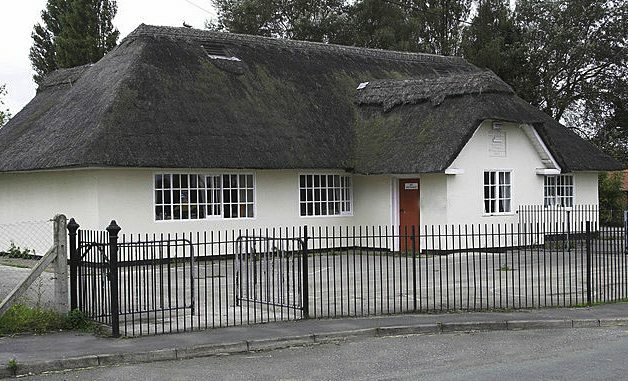 Yet another pub…This splendid thatch once graced the village of Cerrig-y-drudion, once in south west Denbighshire. The thatcher here coated with the stobbing method, finishing with a fine rope top ridge. Its details being identical to those found in Ireland. 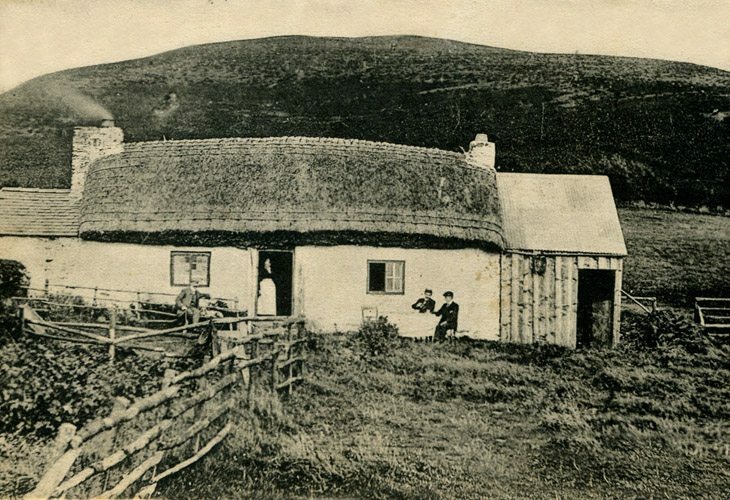 Ruthlin thatch… These two images of the Denbighshire town date from the 1870’s. 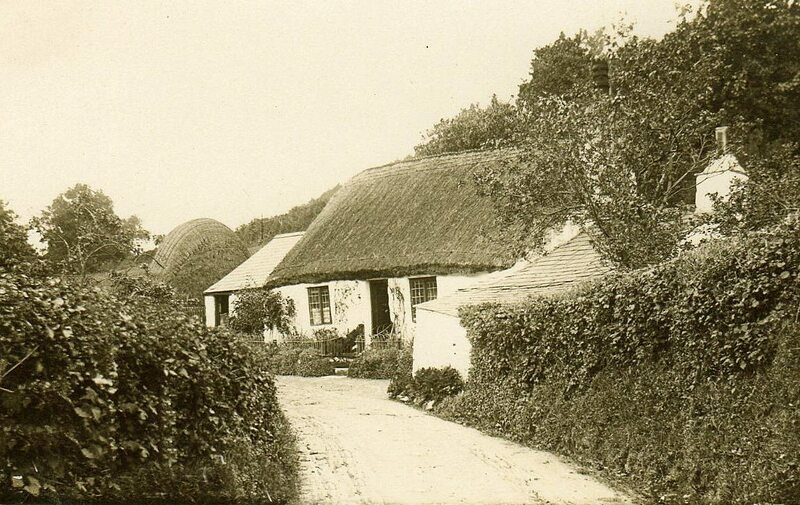 * The right hand cottage evidently belonged to one Edward Roberts; no doubt the gent in the top hat. 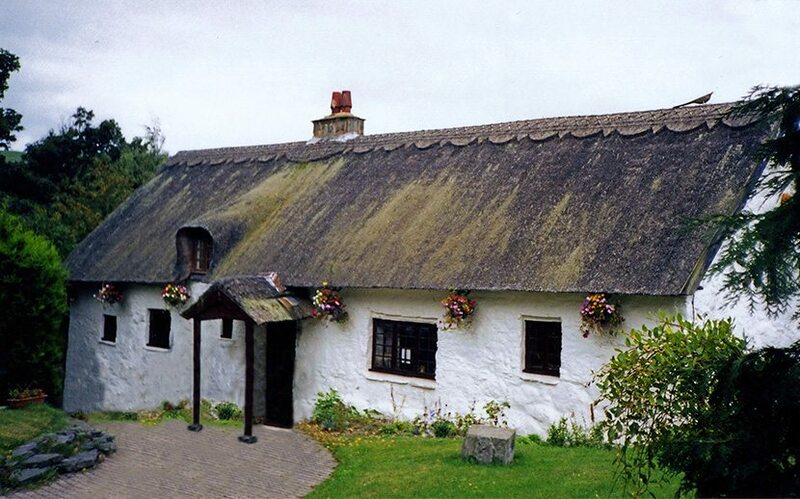 The vertical lines, in his worn roof, show where the strips of long straw thatching were originally joined together. 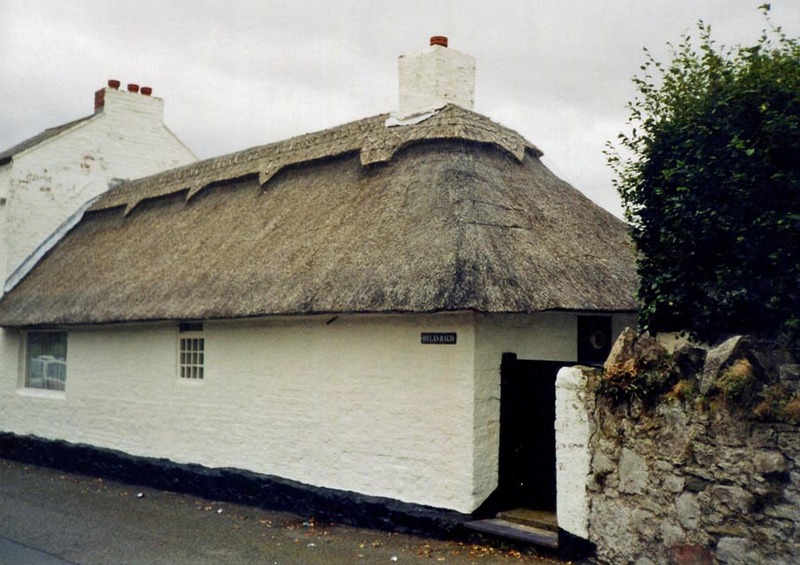 They are around 3 feet (0.9m) wide… The same size as modern thatching. 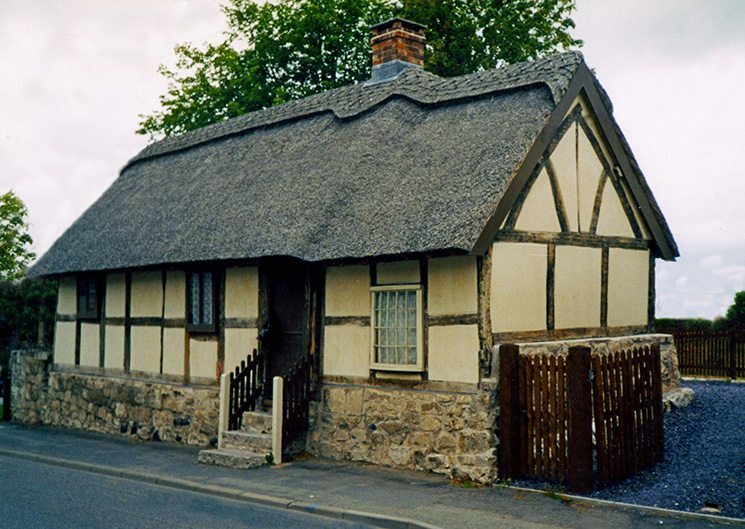 Still ‘The oldest house in Ruthlin’… Restored in 2000; a cruck framed hall house, from the sixteenth century. More rope topped ridges…. 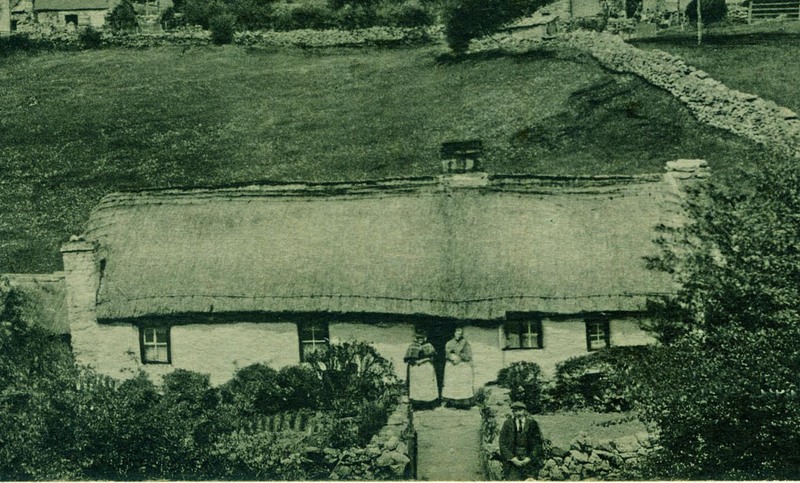 The upper left hand photo shows a Flintshire, roped top ridged house, at Maes Hafn near Mold, around 1910. 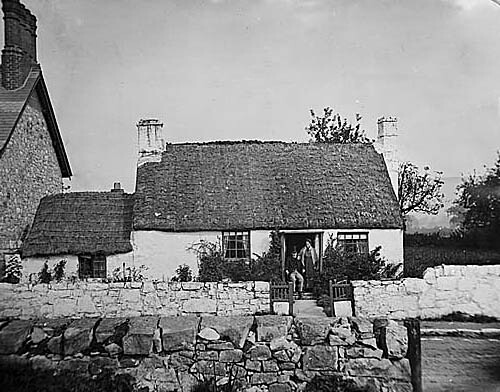 The right hand Denbigh thatch, lay at Abergele; described as ‘the old meeting house’, in 1897. * The right hand side of this property is coated in directional repairwork. The left looks in better shape, with a rope top ridge. Finally, from Maelor Saesneg… A witch tale, from Penley. 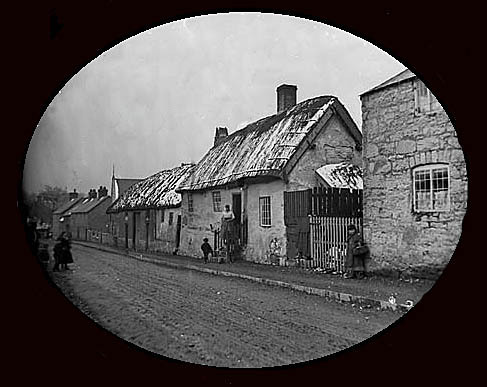 The ‘evidence’ consisted of the usual tales, of sick cows, lame adults and poorly children; that were normal in these cases. Ann was the typically accused person; being poor, a widow and perhaps a gifted healer. It seems her neighbours were quick enough to call her in, to bless the sick and hurt; but turned against her when things went wrong. 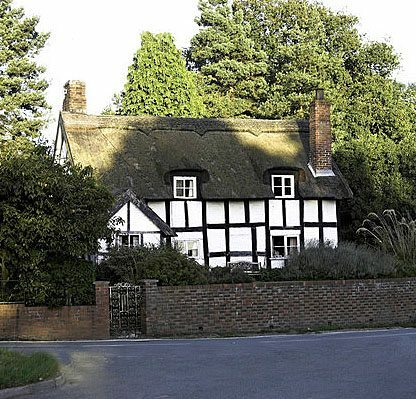 She ‘had a bad report to be a witch of all her neighbours’, according to one witness. Ann was committed to jail, absconded and jailed once more. Things were looking grim for her. She seems now to have panicked and started accusing other people, for her alleged crimes. 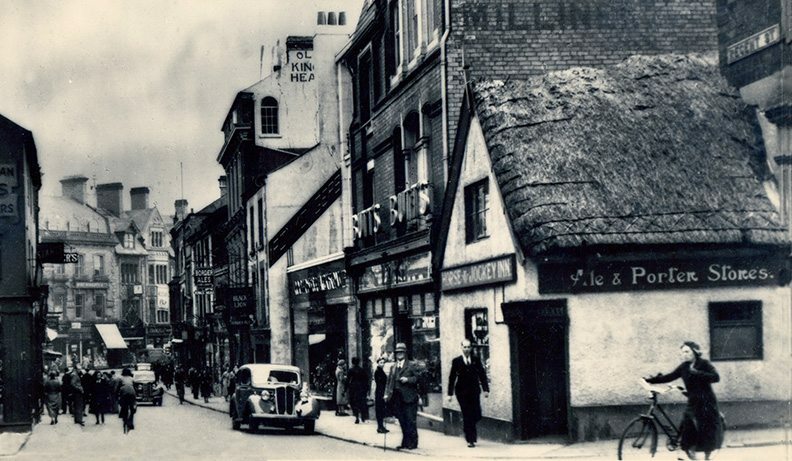 One person she named was Jane, the wife of John ‘the thatcher’ of Penley, whom she alleged had bewitched one William Hughes and his child. Ann eventually went on trial at Flint, and happily for her, was acquitted. Ref;Witchcraft in Seventeenth Century Flintshire by J. Gwynn Wiliams, M.A.